First of all, it’s kind of weird reading a novel written in first person about a person who shares your first name. True, the Melissa in this novel is called “Lissy” by most people, but even so, I was always the slightly out of place, voracious reader, and as such I really identified with her, except that I never lost my mother – in any sense. That aside, I was instantly drawn into Lissy’s story. My own childhood involved moving (and changing schools) roughly every eighteen months, so her sense of displacement, especially the first summer she traveled with her father, was familiar to me, and helped draw me further in. 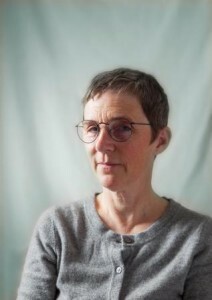 The story itself was compelling, both in seeing the way Lissy grew and changed – going from lost child, to accomplished adult – and also in the evolution of er relationships, not only with her father, but with the array of characters they encountered on their bee-related excursions, and the way those connections formed a whole picture, once you had enough distance to see it from the right perspective. 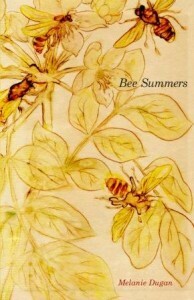 Bee Summers is a thoroughly engaging novel, that, while sad in places, is also incredibly satisfying and really real. Goes well with peanut butter and banana sandwiches, drizzled with honey, and fresh, cold milk. This review is part of a blog tour organized by the lovely folks at TLC Book Tours, who also provided me with a copy of the book. For more information, or the complete list of tour stops, click HERE.